26-year-old Yuvraj Walmiki, formerly a regular in the first eleven of the Indian men’s hockey team, will not be boarding the Rio bandwagon. But the Uttar Pradesh-born striker is hardly upset about the fact. 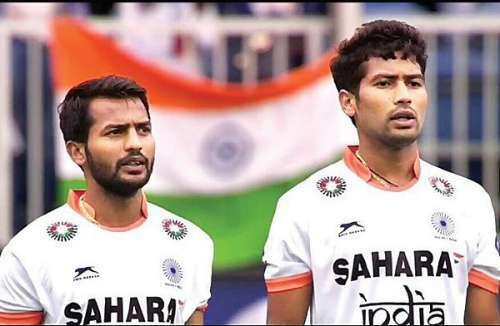 Instead, the joy he felt on learning about the official 16-member team selected by Hockey India for this year’s Olympics knew no bound – reason being the inclusion of his younger brother Devinder Sunil Walmiki. A talented midfielder who is often a threat for oppositions in the final third owing to his sharp eye for goal, Devinder’s selection was somewhat of a certainty. The two brothers had represented the Indian team last year when they took the field during India’s Hockey World League campaign. Since then, Yuvraj hasn’t been in his best of form which has seen him being left out of the national team for several tournaments. Incidentally, despite being an obvious candidate for the London 2012 Olympics hockey team for India, Yuvraj had had to miss out on the tournament because of an untimely injury.